Riviera Travel welcomed the 169-passenger Oscar Wilde -- identical to Emily Bronte and Thomas Hardy -- to its growing fleet of river ships in May 2017. 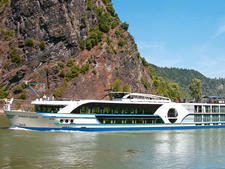 The Swiss-built Oscar Wilde will traverse the Rhine offering one-way and return itineraries from Cologne exclusively to the British market. 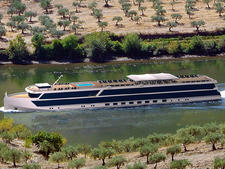 Like its sister ships, the vessel contains 86 all-suite cabins of three varying sizes, including the 183-square-foot Suites, the 210-square-foot Superior Suites and the 274-square-foot Deluxe Balcony Suites. Aside from their size, the major difference between suites is their window size. Suites on Emerald (lower) Deck contain a small window, while Suites on Ruby (middle) and Diamond (upper) Decks contain large floor-to-ceiling French balconies. Superior Suites also contain French balconies, while the Deluxe Balcony Suites contain spacious balconies, featuring a table and two chairs. All suites contain twin beds pushed together to form a double bed, a table and two chairs, flat-screen TV, hair dryer, safe, mini-bar, telephone and tea and coffee making facilities. Marble bathrooms feature rain showers (but no baths) and Crabtree & Evelyn toiletries. Deluxe Balcony Cabins offer slippers and bathrobes in cabins, whereas passengers in other cabin categories have to request them at reception. The ship's lobby has a spacious and plush feel, with marble flooring and rich finishes. The ship's small boutique and guest services is located in the lobby area. Oscar Wilde's main dining room, the Restaurant, offers a buffet breakfast and lunch and a four- or five-course waiter service dinner. Alternatively, passengers can dine in the ship's Bistro for a specialty lunch or dinner. There's no fee, but passengers need to book ahead for a table in The Bistro at night due to limited seating. The Bistro is also the place where passengers can pick up 24-hour complimentary tea and coffee. The Panorama Lounge -- the ship's only lounge bar -- is open from morning through late at night, serving everything from coffee and soft drinks to beer and cocktails. There is a hair salon, nail bar and small fitness room onboard. The ship's sun deck features a small splash pool and a mini-putting green, along with plenty of areas to sit or lounge outside. Entertainment is in the form of a nightly pianist in the lounge bar and enrichment includes destination talks. Like with all Riviera Travel river cruises, return travel to your embarkation port and transfer to the ship are included. Excursions, in the form of a light walking tour, are also included in ports where the line deems the port big enough for a tour. All tours are conducted in English by a local guide, with useful Quietvox headsets (provided in cabins) to make it easier to listen to guides during excursions. 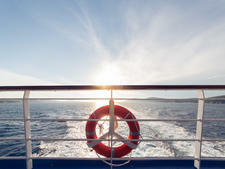 Wi-Fi is also included onboard the ship, however drinks and gratuities are excluded. The ship also features eight bikes with helmets for passengers to use free of charge. 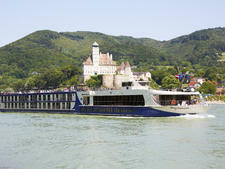 The 140-passenger Jane Austen offers an intimate, premium feel with British touches; it sails Danube and Rhine River cruises as part of Riviera Travel's program of escorted tours. The 169-passenger Thomas Hardy entered service with Riviera Travel in April 2017, joining sister ships Emily Bronte and Oscar Wilde as part of the line's expanding river fleet. 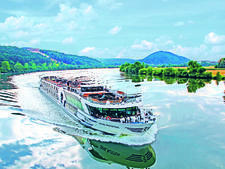 The 140-passenger William Shakespeare, which operates cruises on the Rhine River, features contemporary decor with sustainably sourced tropical hardwoods and brass and wrought-iron fittings. 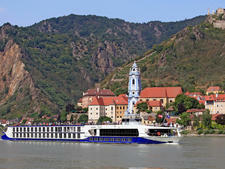 Coming in 2018 from U.K.'s Riviera Travel, Robert Burns will sail the Rhine, Main and Danube on river cruises that are open to Americans, Brits and Australians. 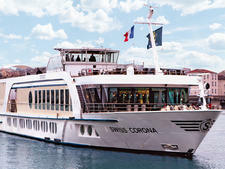 The 140-passenger Charles Dickens offers river cruises through the heart of Europe and features contemporary decor that includes sustainably sourced hardwoods and brass and wrought-iron fittings. Built in 2017 and chartered to Rivera Travel, Douro Elegance has splash pool, open seating at meals and a la carte drinks. 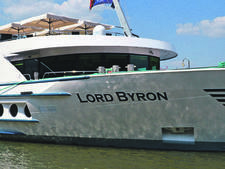 With 140 passengers, Lord Byron has a high crew-to-passenger ratio on weekly Burgundy, Rhone and Provence itineraries. Emily Bronte continues Riviera Travel's tradition of naming its ships after famous authors. Sailings on Emily Bronte are available exclusively to the U.K. 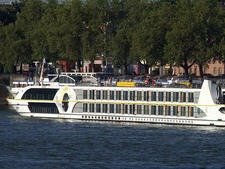 This 144-passenger vessel, twin to Swiss Tiara, has a sauna, splash pool and putting green; all drinks are extra. Ship from U.K.-line Riviera Travel carries 144 passengers -- fewer than many others same size -- on the Rhine and Danube rivers.